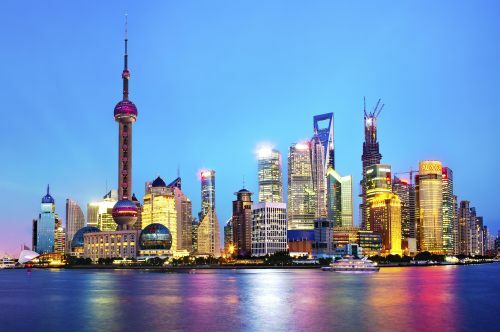 Air China is having another sale on their flights from Montreal to Shanghai, China for just $499 CAD roundtrip including taxes. There are also fares to Guangzhou, China (CAN) and Xiamen, China (XMN) for the same price. 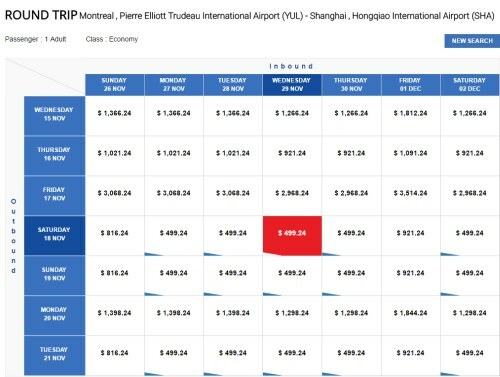 One notable difference about this flash sale is that there appears to be flights from Montreal to Shanghai without the usual overnight layover in Beijing. Instead, they have a 2 hour layover. Update 4/14 - Just a heads up that this 'flash sale' is back again today. Try dates between now and May 20, 2017 or between September and November 2017. Only certain dates are available. Last time, very few dates in May were actually available. montreal, yul, flight deals, asia, east asia, china, shanghai, pvg and air china.